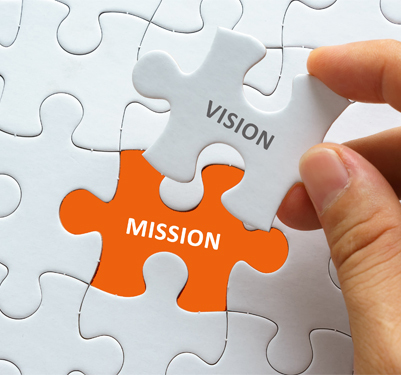 To conduct innovative research, discover, develop, manufacture, sell novel chemical/biological agents of synthetic or natural origin, undertake clinical trials, make available and provide innovative, distinctive products, scientific services, consultancy and education that contribute to save and improve lives of human, animal and/or plant with a focus on global health diseases. Dr. Shridhar Narayanan, Director, FNDR has more than 12 years of drug discovery and development experience in the Indian pharmaceutical industry in various therapeutic areas. 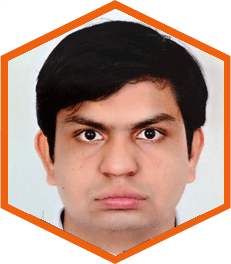 Shridhar holds a basic degree in Pharmaceutical Sciences, a PhD in Pharmacology from Ohio State University, and has post-doctoral experience in Neuro-pharmacology at the University of California, Los Angeles. 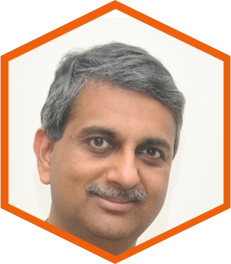 Shridhar has been the Executive Vice President-Discovery Biology and Drug Development at Orchid Chemicals and Pharmaceuticals. In this role, Shridhar has been responsible for the design and implementation of the scientific and business strategy for drug discovery and development across therapeutic areas, managing a team of scientists in biology, DMPK, safety pharmacology, and regulatory toxicology and clinical development. 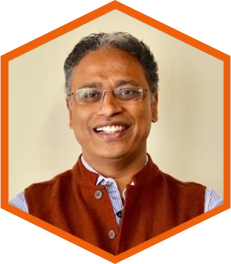 Most recently, Shridhar was appointed Vice President and Head of Innovative Science for the Infection at AstraZeneca, India and led the discovery and development of 2 potential clinical candidates in TB and malaria. Throughout his career, Shridhar has contributed to the Discovery and Development of 15 clinical candidates. He has also executed out-licensing deals with major pharma as well as in-licensing of candidates (NCE/NBE) which are in active development. This has generated revenues in excess of 100 million USD. Shridhar has been a member of joint research committees, academic and industry collaborations and has served as a Ph.D. guide. 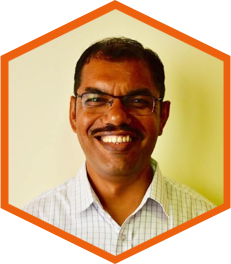 Shridhar is a scientific consultant and advisor to biotech companies and Research Institutions and holds Adjunct faculty position at Transdisciplinary University, Bangalore. 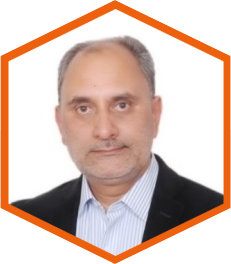 Dr. R.K. Shandil is PhD in Immunology from the Post Graduate Institute of Medical Education Research (PGIMER), Chandigarh, India and brings a strong track record of scientific expertise in experimental parasitology, parasite immunology and hybridoma technology. Dr.Shandil, Director, FNDR, served AstraZeneca India R&D, Bangalore, for 20 years in various scientific and managerial roles at Infection – innovative medicines group. Shandil was Head of DMPK & Animal Sciences and led multidisciplinary teams in biology, immunology and pharmacology. He played a central role in building microbiology, cell biology and Pharmacology based drug discovery platforms for infectious diseases. He was instrumental in building and managing state of the art bio-safety laboratories, a Vivarium, and validating animal models of tuberculosis, malaria and serious bacterial infections, PKPD and Pharmacology at AstraZeneca R&D Bangalore. Shandil’s scientific leadership led to discovery and pre-clinical development of AZD 5847, an oxazolidinone class of compound that has now completed Phase 2a/EBA clinical trial in TB patients. He led pharmacology of several TB and malaria lead optimization (LO) programs. His most recent & significant contribution includes discovery of Azaindoles, a yet-another clinical candidate for TB [Shirude. P et.al. Antimicrobial Agents and Chemotherapy, 2014, 58:5325-31]. He holds/shares patents for discovery of AZD 5847 and Azaindole class of compounds for the treatment of tuberculosis. He has ~35 publications in peer reviewed national and international journals, a dozen of them in very prestigious drug discovery journals like Antimicrobial Agents and Chemotherapy, Journal of Medicinal Chemistry, Tuberculosis and Science. 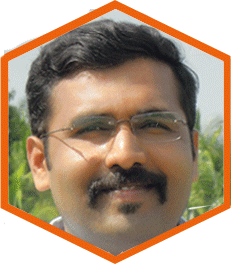 Shandil is scientific consultant and advisor to biotech companies and Research Institutions and holds Adjunct faculty position at Transdisciplinary University, Bangalore. Ashish, Chief Financial Officer of FNDR, is a Fellow Member of The Institute of Chartered Accountants of India (ICAI). He also has a Diploma in Information Systems Audit from ICAI and passed the Cost Accountancy Examination conducted by The Cost and Management Accountants of India (erstwhile ICWAI). During his professional career as a practicing Chartered Accountant, Ashish has been with PriceWaterhouseCoopers as an Assistant Manager, and Ray & Ray, a member of Moore Stephens International, as Partner, Transaction and Accounting Advisory Services. He has spent a considerable portion of his professional career in the industry in roles of Controllership, Governance, Risk and Compliance and Management Assurance of GMR Infrastructure, Bangalore, and Mytrah Energy India Limited, Hyderabad. He has also served as a special invitee to the Accounting Standards Board of the ICAI and has been associated with the Peer Review Board of the ICAI. During his professional career he has provided professional and consultancy services to well know entities like Tata Motors Group, Oberoi Group of Hotels, JSW Ispat, Aga Khan Development Network (AKDN), Ramakrishna Mission, Goodricke Group, IDBI, HDFC Life Insurance, Life Insurance Corporation of India (LICI) , Max New York Life Insurance Co. Ltd., Steel Authority of India, etc. Dr. Vijay Potluri has over 12 years of experience in the pharmaceutical industry in both drug discovery and contract research. Vijay has a Master’s degree in Chemistry from Sri Satya Sai University, a Ph.D. in Supramolecular Chemistry from Indian Institute of Science, Bangalore and has done post-doctoral research at Yale University. In a career spanning over a decade in Discovery Chemistry at Dr. Reddy’s Laboratories, Vijay has led several Drug Discovery programs, delivering multiple clinical candidates. He has worked on diverse therapeutic areas (metabolic disorders, cancer, inflammation, anti-infective, pain, etc.) and on a wide a range of target classes (kinases, GPCRs, ion channels, nuclear hormone receptors). In his last assignment as Associate Director at Aurigene Discovery Technologies, Vijay managed collaborative programs with US and European pharma companies and was responsible for achieving multimillion dollars as milestones for several Discovery and Contract Research Programs. 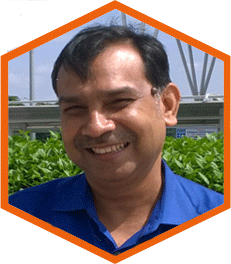 Vijay is currently associated with the Foundation for Neglected Disease Research as Principal Scientist-Medicinal Chemistry and is responsible for the chemistry strategy within FNDR. 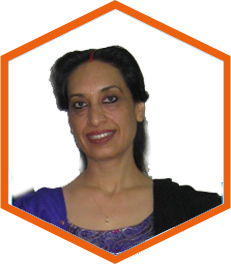 Dr. Parvinder Kaur is an established scientist with more than 25 years of experience in Research and Development in the area of infectious diseases. 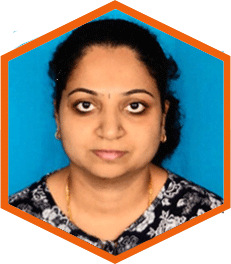 She holds Ph.D. in Microbiology and Molecular Biology from Vellore Institute of Technology (VIT) University, Vellore; and M. Phil., M.Sc. degrees in Medical Microbiology, from Himachal Pradesh University. Her multi-disciplinary expertise ranges from Vaccines, infection Drug Discovery, Antisense RNA (AS-RNA) Technology, Microbial and Molecular- screening and validation platforms, high throughput screening for lead identification; and building efficiency through DMTA cycles and Lean-Six-Sigma. She has made significant contributions to antibacterial drug discovery through screening of MDR/XDR strains of TB and drug resistant superbugs. Parvinder started her scientific career from R&D in Vaccines & Biologicals and moved to Drug-Discovery, Research Management and regulatory compliance; while working at different institutes (Central Research Institute Kasauli, AstraZeneca Bangalore, and Bangalore Bio-innovation Centre, Bangalore). In her previous job at AstraZeneca, she has immensely contributed to the development of AZD5847 (an oxazolidinone), and TBA7371 (a dprE inhibitor), currently in late stage pre-clinical development. She developed and validated AS-RNA Technology to delineate bactericidal targets for TB drug discovery. She has >30 high impact research publications to her credit. Parvinder also has a strong background in Biosafety, General Laboratory standards, Health Safety & Environment (HSE), Human biological samples (HBS), and compliance requirements to regulatory bodies (IBSC, RCGM, DBT, DCGI etc.). In the capacity of Bio-safety officer, she has been accountable for the organisational Bio-safety, Bio-Banks, third party audits, Bio-safety trainings and certifications of the employee-scientists. As an ISO 9001:2015 QMS & ISO 14001:2015 certified Internal-Auditor, she has been consultant in Bio-safety, HSE, and Microbiology for few pharma companies. 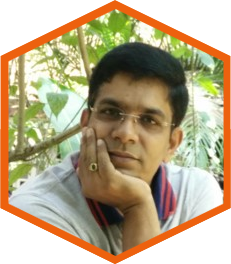 Dr Naveenkumar is a Veterinary Microbiologist (MVSc) by basic training with more than 9 years of experience in Life Sciences, Veterinary Vaccines and Diagnostics, Preclinical drug discovery and GLP Toxicology research, In-vivo models and Biosafety research. He has experience in animal models for pharmacokinetic and pharmacodynamic studies (Anti-Mycobacterial, Malaria, and Broad spectrum Anti-infectives). He has in depth expertise in pharmacodynamic evaluation of NCEs/drugs in preclinical animal species. His major experience in previous roles include developing animal models for antibacterial drug discovery, screening compounds for efficacy, coordinating research activities with different disciplines, serving as a Veterinary member on the Institutional Ethics Committee and maintenance of the Animal Care Facility in accordance with Corporate, National and International guidelines. He has more than 20 publications in peer reviewed International journals and attended International conferences. Vijay Kamal has completed his masters, M.S. (Pharm.) from NIPER, Mohali and B. Pharm. From DOPS, Maharishi Dayanand University, Rohtak. He has worked previously with Aurigene Discovery Technologies as Senior Scientist and had the responsibility of establishing Proteomics and biotransformation group within DMPK. The group was involved in screening of NCEs for metabolite identification and intact protein complex analysis as well establishing target using proteomics approach. Prior to that, he was part of Application team of Agilent technologies, where he worked for training and troubleshooting application and hardware issues related to LC-MS specially Q-ToF for clients. Preceding that, he worked with AstraZeneca India with DMPK department and was part of bioanalytical and biotransformation team. Ramya is a Microbiologist by training, with about 8 years of work experience in the area of Drug discovery, Bacteriophage based therapy, Cell biology, as well as Molecular biology. She is a native of Bengaluru, and has done her MSc from Maharani’s Science College of Women, University of Bangalore. She was Scientific Research Assistant at Aristogene Biosciences Private Limited, Bangalore from January 2008- February 2010, Research associate at AstraZeneca India Private limited (AZIPL) from March 2010 to November 2012, and then Associate Scientist-1 at Gangagen Biotechnologies Private Limited (GBPL) from May 2015 to February 2018. She has gained a broad and fundamental research experience in the field of various diseases like Tuberculosis, Antibacterials, and Malaria. Suri Venkatachalam is an entrepreneur, and former Chief Executive Officer and founder of Connexios Life Sciences, a Network Biology driven Drug Discovery and Development company. He has a Bachelor`s in Chemical Engineering, PhD in Condensed Matter Physics and post-doctoral research in Neuro-biology. Suri is an entrepreneur. His first venture was in agricultural biotechnology with a company he co-founded in 2000 called Metahelix. He is a founding director of Group Lifespring and also a co-founder of Achira Labs, a Bengaluru based start-up that is developing a unique microfluidics based technology platform for molecular diagnostic applications. 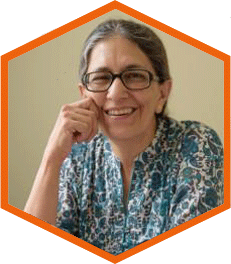 Suri is deeply interested in Global Environmental History and its intersection with the broad discipline of World-History and is an Adjunct Faculty at the Nature Conservation Foundation. Dr. Gayatri Saberwal is a scientist-turned-policy researcher. She did her doctoral work in the life sciences at CSIR-CCMB, Hyderabad and her post-doctoral research at at the Weill Medical College of Cornell University, New York. She joined the Institute of Bioinformatics and Applied Biotechnology when it was set up in 2001, and is currently Dean, Academic Affairs. Her research focuses on the health related industries, primarily biotech and pharma. She has undertaken studies in the areas of entrepreneurship, patent holdings and clinical trials. In addition, she writes general articles and editorials about these, and other, issues. She hopes that they have contributed to policy debates, especially in India. In her own small way she would like to contribute to making the world a fairer place. Mr. Pradeep Panicker has been Chief Commercial Officer of the Aeronautical Business and Executive Vice President at Delhi International Airport Private Limited since July 2014. Mr. Panicker serves as Head of Commercial Property Development at DIAL. He has over 25 years of experience in various fields. Prior to joining GMR Group in 2004, he worked with Price Waterhouse Coopers, IDBI, L&T, Feedback Ventures (P) Ltd., Mumbai SEZ Development Company and others. In his current role he is responsible for airline marketing, aero related, cargo, land & space development and revenue management. He obtained a post-graduate diploma in Merchant Banking and Financial Services from the Institute of Chartered Financial Analysts and is a qualified Chartered Accountant and Cost and Works Accountant. FNDR has a scientific advisory board of leaders in the field of TB and malaria research to ensure that the overall deliverables of FNDR are in line with the global objectives for combating these diseases. Astra Zeneca AB, Sweden has committed to provide the initial seed funding and essential laboratory equipment for starting FNDR.